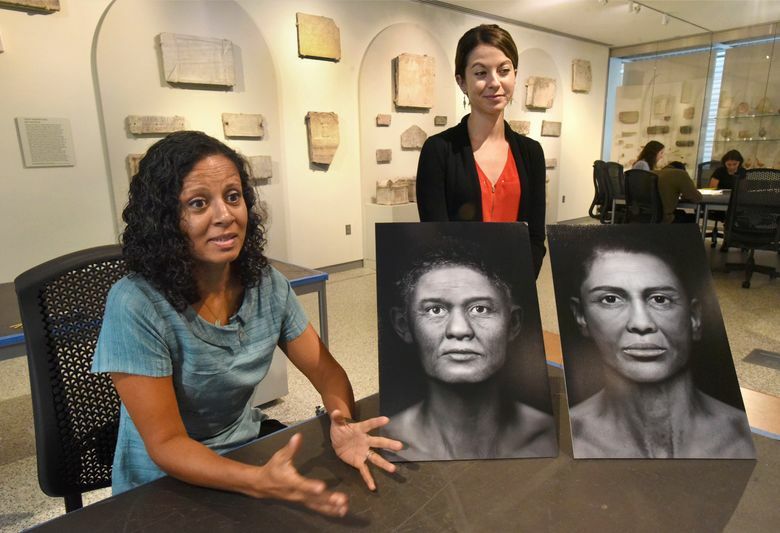 BALTIMORE (AP) — A team of researchers is giving the world a chance to see the faces of two Egyptian women who walked the earth about 2,300 years ago. The Baltimore Sun reports that detailed portraits based on mummified remains form the core of “Who Am I? 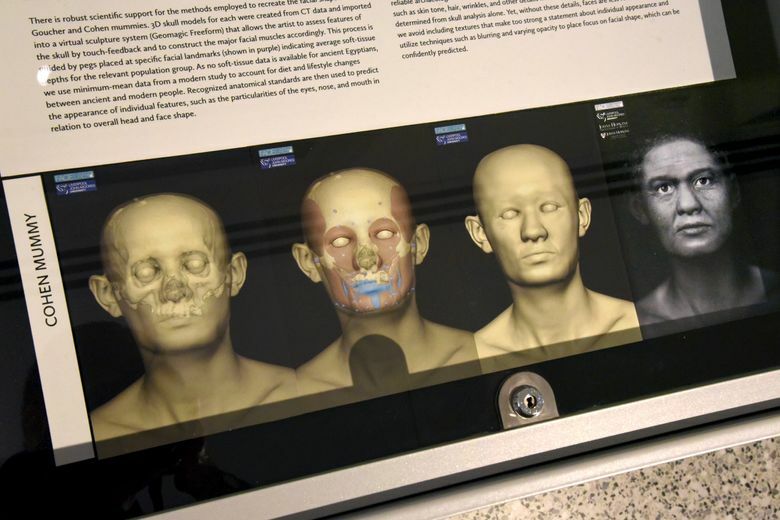 Remembering the Dead Through Facial Reconstruction,” the newest exhibition on display at the Johns Hopkins University Museum of Archaeology at least until the end of next year. 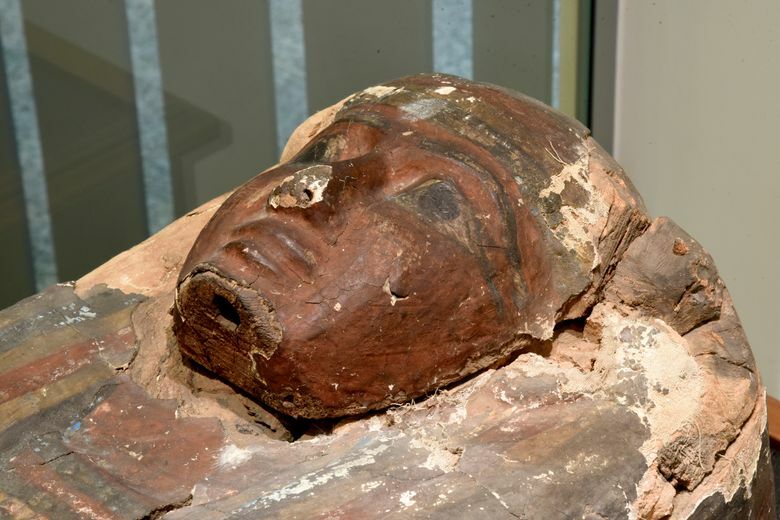 Experts in fields ranging from fine art, osteology, computer tomology, and craniofacial reconstruction worked together to create the likenesses from two mummies acquired abroad and brought to Baltimore more than a century ago. The veteran of archaeological digs, was familiar with Western collectors’ treatment of ancient artifacts, particularly Egyptian mummies. In the early to mid-1800s, Americans of means collected what they saw as exotica in Egypt, where the ceremonially preserved bodies were plentiful. Mendes I. Cohen, A War of 1812 veteran, acquired a mummy in Egypt in 1834, brought it back to Baltimore, and left it to the university when he died in 1879. 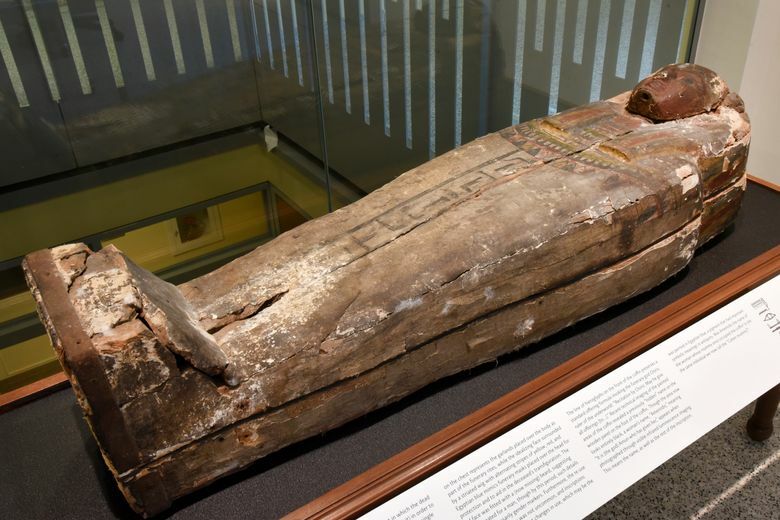 John F. Goucher, a local minister, missionary and educator, acquired a mummy in 1895 and brought it to Baltimore, where he donated it to the school he’d founded, the Baltimore Woman’s College, later renamed Goucher College. It ended up at the Baltimore Museum of Art. 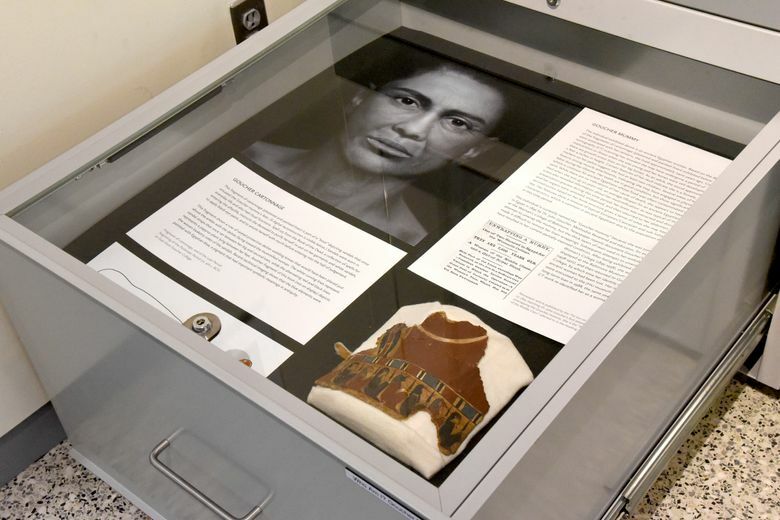 Balachandran’s team, a group that included Swaney and six undergraduates, worked with Caroline Wilkinson, the director of Face Lab, a research group at Liverpool John Moores University in England that carries out forensic and archaeological research. Dr. Elliot K. Fishman, a professor of radiology and the director of diagnostic imaging at Johns Hopkins Hospital, performed a CT scan on the bodies, and those images provided information for three-dimensional representations. Researchers contributed other details including pelvic marks that showed both were female and tooth conditions that suggested ages of about 45 or 50. 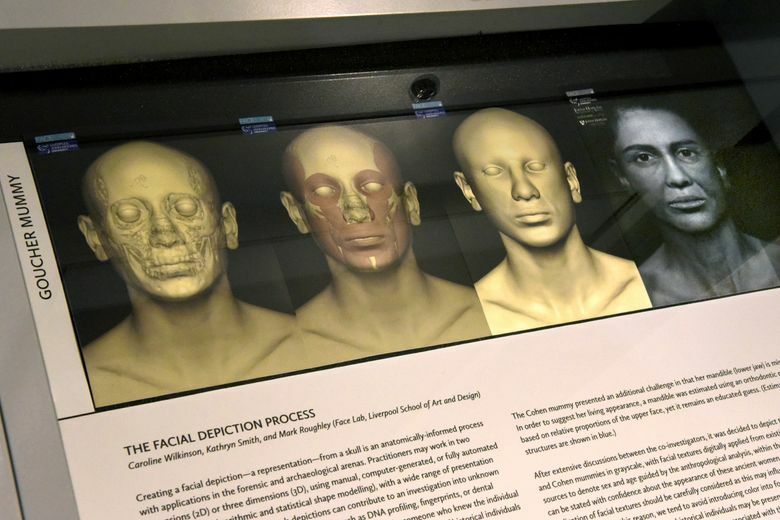 Face Lab built its illustrations out over two years. The team faced a range of ethical questions along the way, voting for two-dimensional portraits over three-dimensional busts. 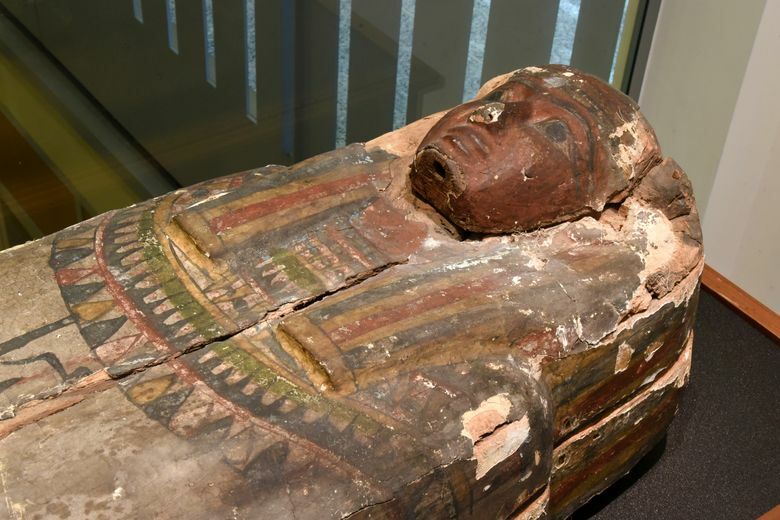 “Everyone felt it would risk being too macabre or creating too much of a spectacle,” said Swaney, who specializes in the ethics involved in displaying Egyptian remains. They also agreed to render the portraits in grays since no reliable evidence exists regarding skin tone. For Balachandran, the exhibit is a new way of looking into the ancient past.